Calling All Buyers! It’s Show Time!!! The Suburban Fall Home Show is being held at the Greater Philadelphia Expo Center at Oaks, PA.
Stop in and see us at our booth, BOOTH #230. For Additional Show Information Click Here. We are excited to be a part of this gathering of the area’s premier businesses with exhibits that focus on your home. Take a look at this previous blog (click) for tips on attending home shows. If you are looking for ideas and help to make your dream project a reality, this might very well be the wellspring that you have been searching for. From decorating for the holidays to whole house remodeling there will be someone who can give you professional input. We hope to see you there! Remember BOOTH #230. Feel free to contact us at 215.513.0300 if you have any questions. Gehman Design Remodeling has been listed among the elite in the remodeling industry. Gehman Design Remodeling has been recognized as #302 on the Qualified Remodeler (QR) magazine’s TOP 500 list of the nation’s premier remodeling firms for 2011. 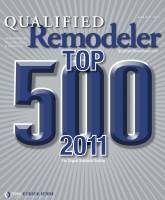 Qualified Remodeler’s Top 500 list has been representing the top firms in the industry for 33 years. The standards are high and all applications have been audited and confirmed by a CPA firm prior to submittal. This recognition is a reflection on the entire company and the quality of work that our craftsmen produce year after year. If it weren’t for the high level of craftsmanship, we would not be enjoying the level of success that is evident in Gehman Design Remodeling being included on QR’s Top 500 list. The other group of people that needs to be recognized is our clients. Without the deep confidence that they place in us project after project, many of them returning year after year, we would not be where we are today. Each one becomes special to us and we cultivate a relationship that becomes an important asset to our family of professionals. Don’t hesitate to post or contact us with any comments or questions you may have on this or any other post here in our blog.